Ah, its good to be writing again. Especially because my kind of writing is generally an outcome of my kind of eating.And its wonderful when I have a blank sheet in front of me, photos all prepped up and a full stomach. Good times. I think weekend getaways are awesome. I have new found respect for them – especially when they are the right amount of hurried, hectic and satisfying. I love how the little moments that make up a great weekend away have this playful way of coming back to you in little bits and pieces. I chose to visit Mumbai when I found out that the employed class had a long weekend. My co foodie and current Mumbai resident took it upon herself to intricately plan the “Best Weekend Ever”. So clutching a copy of an email that held an itinerary ( with a subject that read “Best Weekend Ever”) I reached Mumbai. And the eating didnt stop till I went to bed, back in Pune, two days after. I thought I’d do a little collage thing for this blog entry. 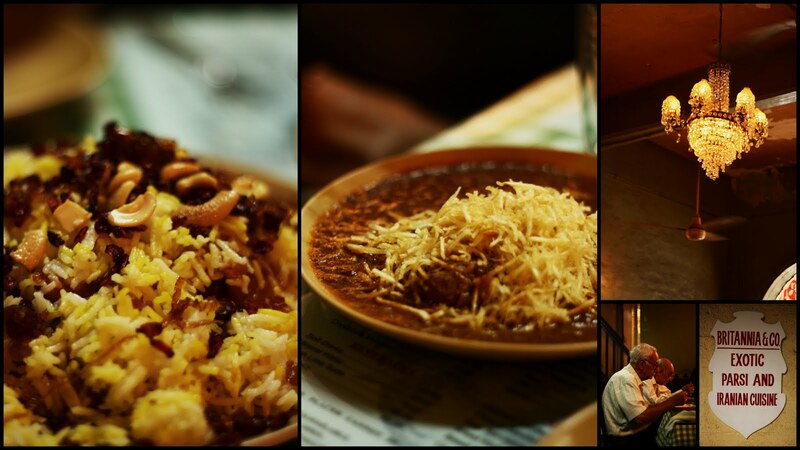 I really want you to sink into the places we ate at , rather than just drool over the food. But I wish you there with me; enjoying those little bites of heaven, reveling in the ambiance and splitting the bill after. Ehm. Suzette We stopped here first. 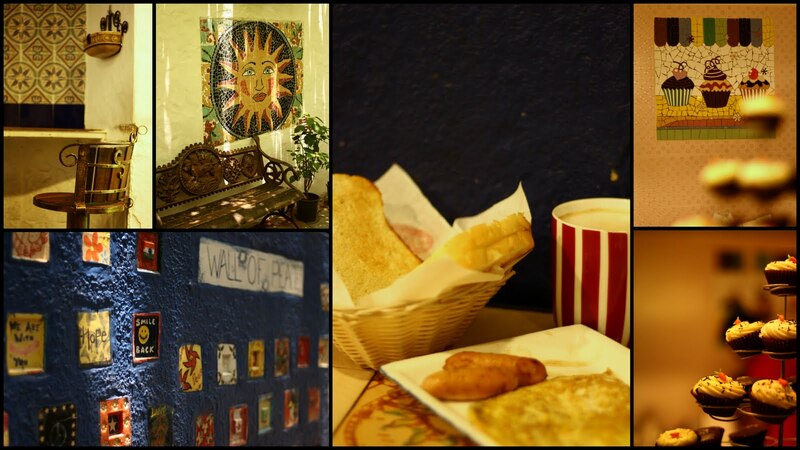 This wonderful little Creperie is a little piece of Paris. Ignore the completely lost Indian waiters and you could be half expecting to pay the bills in Euros. 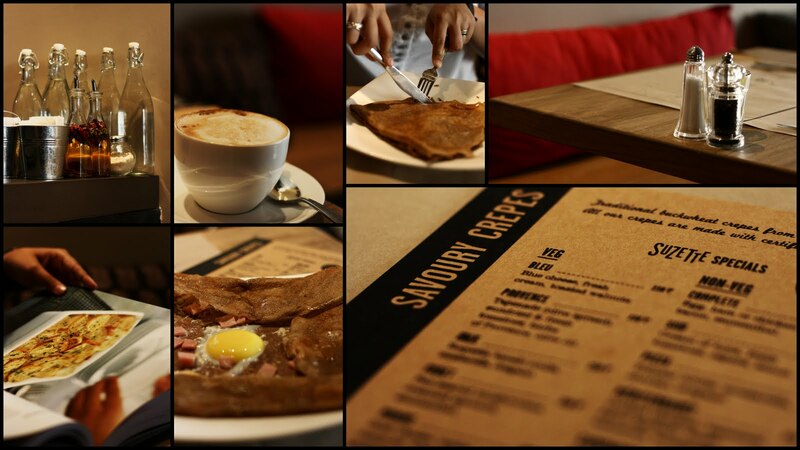 We had two lovely crepes, both savoury – one filled with chicken bacon, goat cheese, almonds and lightly drizzled with honey and the other, an open crepe with cheese, spanish ham and a lovely egg, sunny side-up. Two strong cups of coffee and we were sorted. Extra points for the wonderfully gracious French owner. You already have two big fans. Britannia Now this, I was super excited about. I had never been to a Parsi resturant. Hell, I had never eaten authentic Parsi food. And this place is legendary. We were greeted by the wonderful owner , who could easily be eighty odd years old. He suggested we eat Sali Boti, Dhansak and Berry Pulao. He also suggested that we stay away from “boys these days”. We did both. Stop by for great food and greater life advice. Street Food You cannot be in Mumbai, no India, and avoid street food. 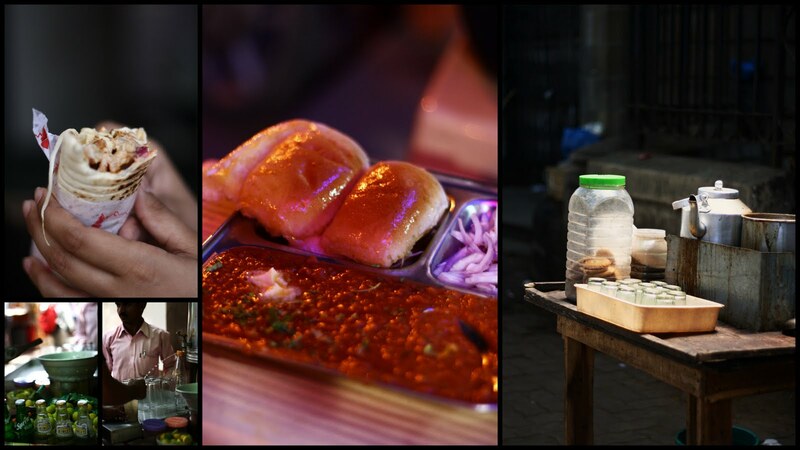 Whether its a liberating Masala Nimbu Paani, a quick Shawarma, Chai- Biscoot or a ‘world famous’ Pav Bhaji eaten at a roadside restaurant. I wish I had eaten more of this kind of food – but the weather and bowel movements wont have allowed it anyway. Candies Happy Easter! What a wonderful day to be in Bandra, amongst hungry Christians waiting for their eggs and sausages or roast chicken meals. We had a wonderful brunch – coffee, buttered toast, mushroom cheese omelettes, sausages and even ogled at gorgeous cupcakes. The place is simply gorgoeus and clearly a favourite Sunday haunt. From running towards a Nimbu Pani stall on a hot afternoon to giggling away at a game of “celebrity spotting” at a swanky Juhu Beach club – Mumbai is one wonderfully paradoxical sticky mess.